Optical Zonu's GPS Fiber Transport links connect your GPS antenna and receiver in situations where coaxial cable is not desirable or practical. These RF-over-Fiber links are easy to install and ensure signal purity for long cable runs or optical splits to multiple locations. 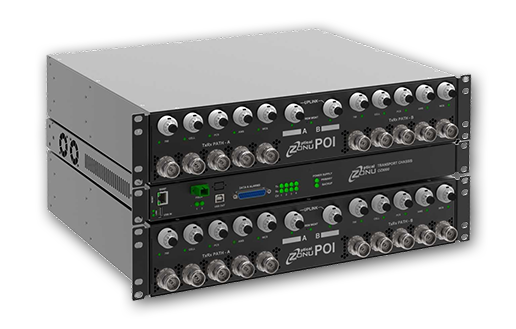 Optical Zonu's BTS-DAS Fiber Transport links provide a highly reliable RF connection between the base station and DAS head end. These systems and modules minimize the amount of equipment and fiber needed while supporting full MIMO, multiple sectors, and public safety. Our revolutionary iSFC transceiver, with built-in fault-finding Micro-OTDR was recently recognized by Lightwave Magazine's Innovation Awards. 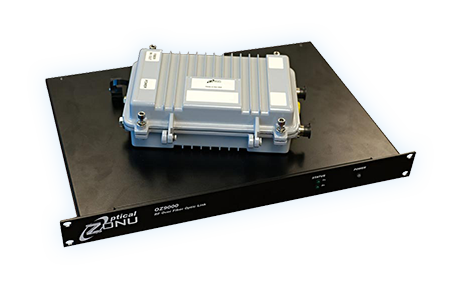 Most major carriers, as well as many U.S. government agencies, use Optical Zonu's RF-over-Fiber and/or digital fiber links. We're proud of our track record as a partner in network design, manufacturing, and service, and we care about each project.